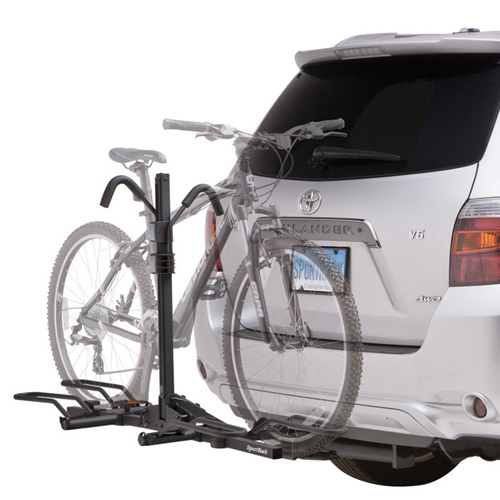 The SportRack Pathway Tow Ball 2 sr2512 2 Bike Trailer Hitch Mounted Bicycle Rack mounts to your draw bar using your existing tow ball bolt. 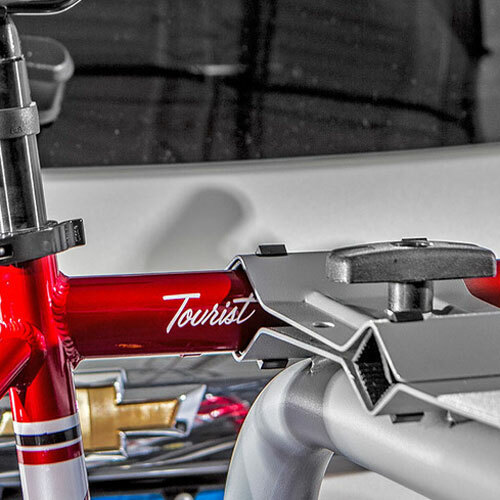 The 2512 Pathway Tow Ball bolts directly under your tow ball mount for a simple, secure connection that helps eliminate rack sway. 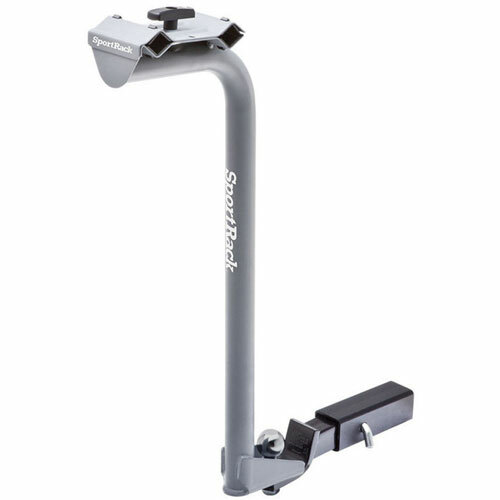 The Pathway Tow Ball 2 is designed to transport up to 2 bikes with a maximum top tube size of 2.5" and weighing up to 45 lbs. 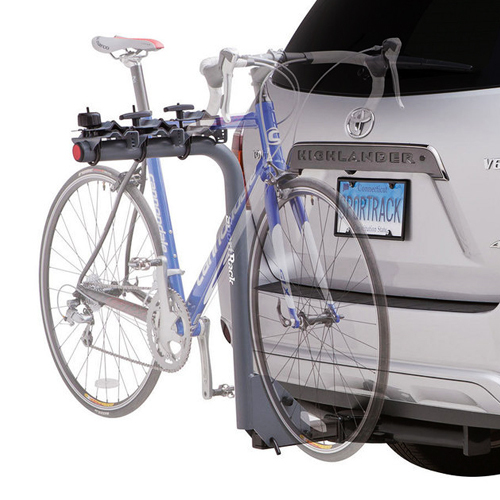 The horizontal frame tube has 2 cradle positions with padded rubber supports to help protect your bike's finish. 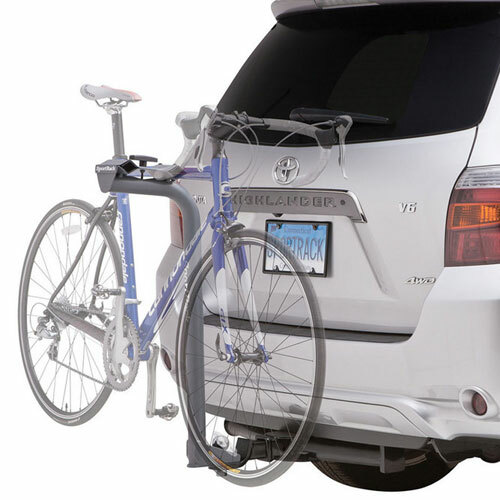 To load your bike, place your top tube into the cradle support. 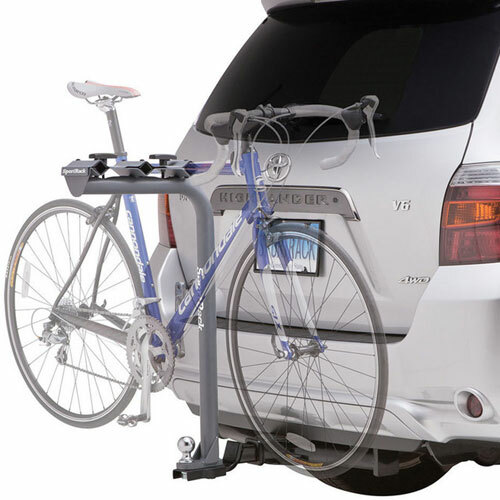 Then, secure the bikes using the included top clamp plates and knobs - no tools required. 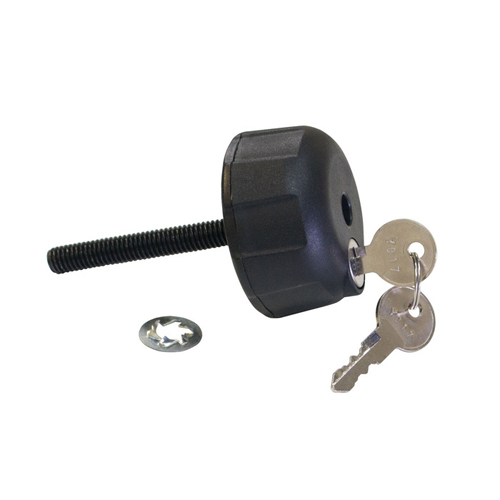 The SportRack sr0018 Locking Knob can be used to lock your bikes to the Pathway Tow Ball (sold separately, see below).